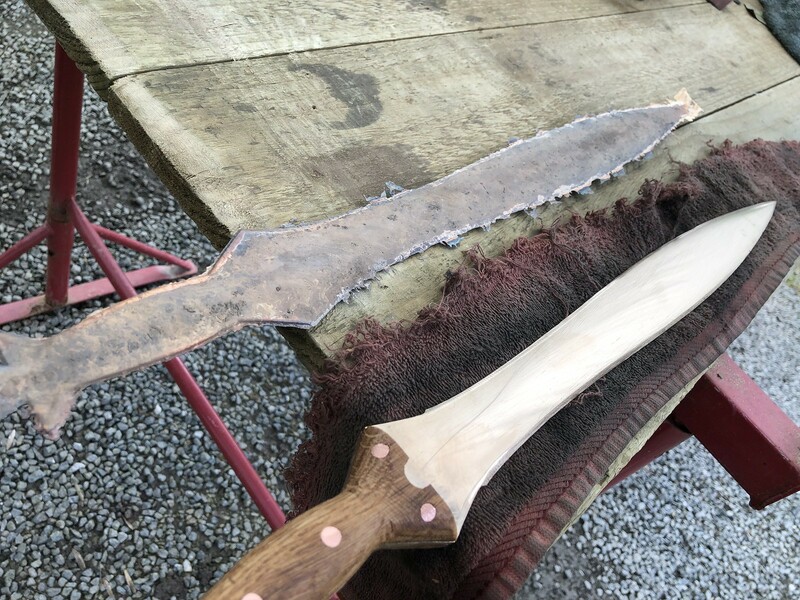 I spent the weekend in Wales, making a bronze age sword, and learning a lot of things. I can’t claim to have done it all by myself, and I can’t say we did it 100% as they did in the bronze age, but there’s enough of my sweat, blood and pain in the blade to make me feel like I got at least close. The Bronze Age was not evenly distributed, but in Northern Europe, it ran from about 3200BCE to 600BCE. That’s the point at which we worked out that by combining copper with roughly 10-15% tin, we got a metal that could be used in all sorts of ways. In very broad terms, the smelting of bronze is the first serious bit of technology that humans came up with, and it’s the one that put them in charge of the environment. It’s the technology that allowed us to fell trees in a serious and sustained manner (seriously: try chopping into a tree with an axehead made of stone, and one made of bronze. You’ll soon see what I mean.). Bronze is the technology that first put us in charge of our environment. 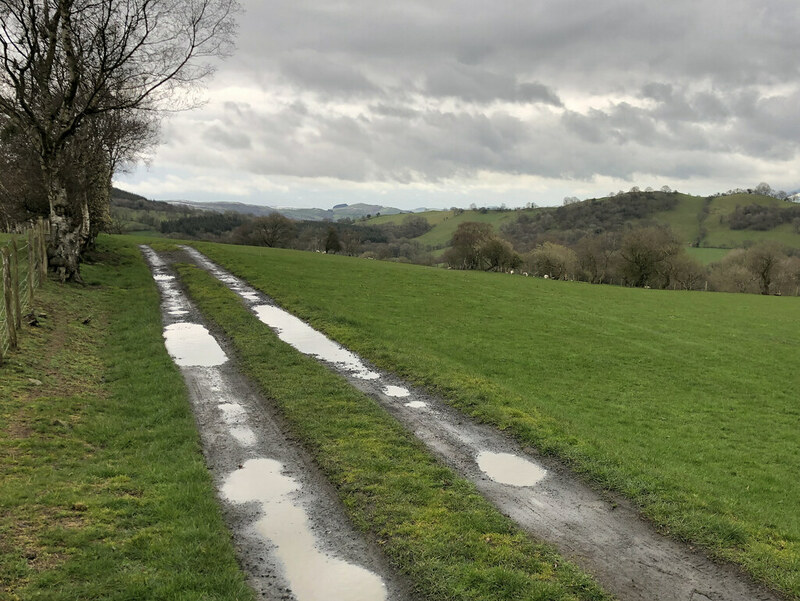 To do this, I went to the middle of Wales. Really pretty literally. I went to a bronze age foundry a few miles away from Llandrinod Wells (look on a map – it’s not smack bang in the middle, but it’s close). And if ever I’d wanted the connection between smith and shaman made clearer, I got it here. Comfortably outside the tribe, I think. The shortest version of that connection: they’re specialist members of the tribe, who have special skills and a particularly ritual role, but there’s a lot we could talk about in regard of the symbolism of fire, and the fear of the person with access to technology that others do not understand as well. It’s not for nothing that the smith was sometimes the person who initiated the shaman, that’s all I’m saying. The sword I made is one that’s designed after a sword that was believed to have been made in Ireland about 3000 years ago, one that would have looked a bit like this. A leaf shaped blade, and a wooden hilt. Simple enough. But, as we saw over the weekend, with just a very little sharpening, this can slice a person badly – we watched a leg of lamb cut open to the bone with little to no effort with a sword exactly like one of the ones we made. One of the most impressive parts of the weekend, aside from the work, and the magic, was the way that all this was put into a context for us, by the people that operated the foundry. Their understanding of where these technologies came from, and what they changed is profound. They encouraged us to think about what these things meant then, and now, and to us. 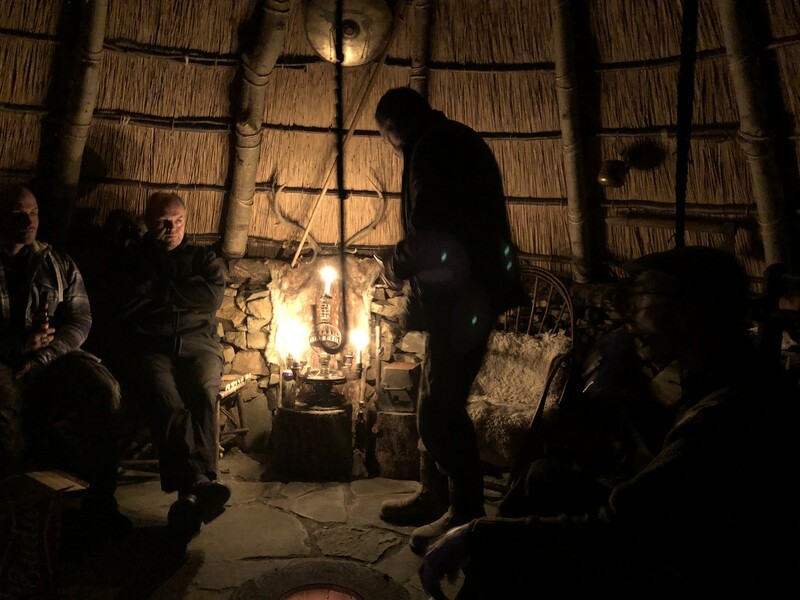 I particularly loved what we did on the Saturday evening, when we sat in a bronze age roundhouse, by a firepit that is itself used to smelt bronze on other occasions, listening to a reading of a book of the Illiad, to help us realise that when we think of the heroes of greek myth, we’re talking about champions of the bronze age, and the kinds of swords they used were almost exactly like the ones we were making. Tin and copper are heated in a furnace. The molten mixture is poured into a soapstone mould. The resulting shape has various bits of mould flash removed (with an an angle grinder, because doing that part by hand would take longer than we had). The sword is filed down with a couple of grades of hand file to remove pits and mould marks, then polished with many, many grades of sandpaper. The sword is fitted with a wooden hilt, which is shaped a bit with another angle grinder then finished and polished by hand. More polishing with sandpaper, and then an edge is put on it with more files. And it is sharp. The point of the weekend was not to make a toy or a display item, but to make a sword. On the left, what it looked like to start with. On the right, the mostly-finished product. And then, when you’re done, if you want, you can name your sword, and if you’ve come prepared, pour a libation on it and dedicate it to the deity of your choice in a pool fed by a stream – dipping the metal from the earth that has been purified by fire, into living water. For a number of personal reasons, my sword is named Mercy, and is dedicated to Brigid. It’ll be displayed above my hearth, just as soon as I have the mounts to do that.